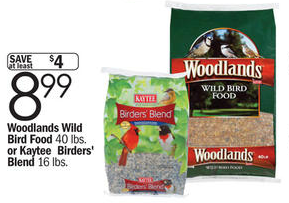 You’ll find a new $2/1 Kaytee Songbird, Nut & Fruit, Birders’ Blend, or Regional Blend Wild Bird Food printable, and even better, Kaytee Birder’s Blend is on sale for $8.99 this week (normally $12.99 or more). Combine the coupon and sale to save 50% on your bird food! Be sure to look through the rest of this week’s Meijer deals before you shop.